Home Random Stuff Blog Guardians does it right! Take note, Marvel. The Good: The story, the pacing, the cinematography, the director, the actors, the characters and the friggin’ soundtrack! Is that everything? You bet it is. The Bad: Well there are few misses: one to be exact and it has more to do on the lore of the Nova Corp than an actual mechanism in the movie. The Ugly: With how wonderful Guardians is, it’s a shame it only runs for 122 minutes. Seriously we’d like to spend more time with the whole group a little longer. Already touted as the BEST Marvel Movie of the year to the BEST Marvel Movie to date, Guardians of the Galaxy has been getting a huge amount of rave reviews, and this writer feels the film deserves every praise it can get. It took a huge amount of balls for Marvel to push for a Guardians of the Galaxy movie, it’s even more ballsy for them to allow director James Gunn to render his treatment of the film in whatever way he wanted because the pay-off is, well, marvelous! An assassin, a thief, two-thugs and a maniac. Guardians of the Galaxy is a space-adventure about a rag-tag team of the unlikeliest of heroes. We have front and center Peter Jason Quill (Chris Pratt) who goes by his outlaw name, Star-Lord. Abducted from Earth when he was a child in ’88 by an alien smuggler group known as the Ravenger , Star-Lord, now 26 years later, lives among intergalactic thieves. Gamora (Zoe Saldana), the adopted daughter of Thanos (Josh Brolin), is a ruthless assassin and warrior. Living in constant fear and threat under the Mad Titan, Gamora is looking for a way out of her dire situation even if it meant crossing against his step-father and the cohorts he works with including his “half-sister” Nebula (Karen Gillan). 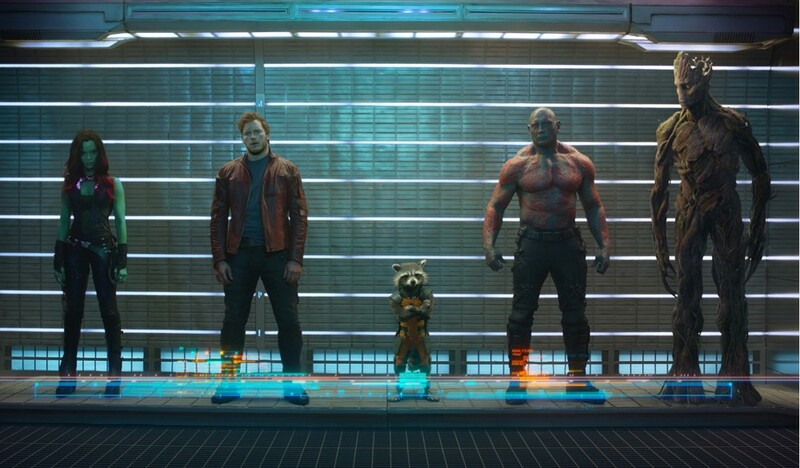 Rocket (Bradley Cooper) and Groot (Vin Diesel) are two odd-ball bounty hunters. One is a talking Raccoon with a penchant for explosives and the other is, well, a walking tree. 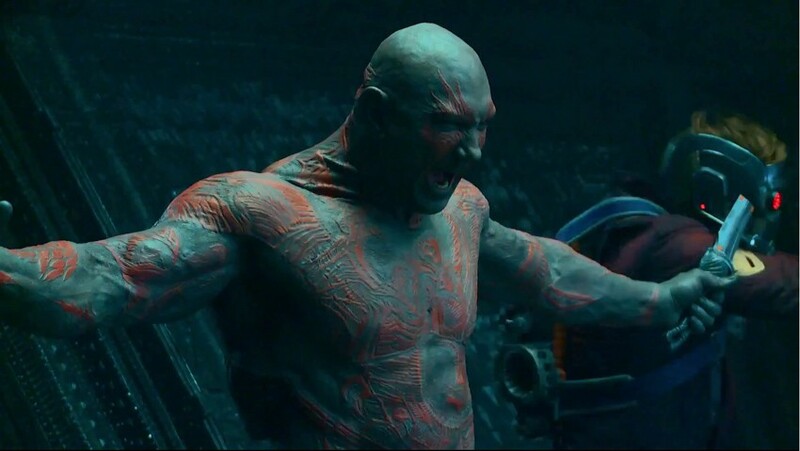 Drax the Destroyer (Dave Bautista) is a rage-infused maniac hell-bent on killing Ronan the Accuser (Lee Pace) and all of Thanos’ group for the murder of his family. The ‘Animal’ as a homicidal Maniac! With chance and fate, all of these people meet together when Star-Lord tries to acquire a mysterious ancient orb as part of a job. A cat-and-mouse chase ensues with all trying to capture the other and eventually the group melded inside a daring break out of a Nova Corp prison. Unbeknownst to them, the mysterious orb holds more than possible fortune: it holds the future of the Galaxy. How they move forward with this in their possession will either build them up as a team or destroy them. (For more details on the characters and plot, visit our UnGeek’s Guide to the Guardians of the Galaxy articles). Guardians is quickly becoming the best Marvel move of the year and it’s very easy to see why. No pretenses, no extra layer of fat, director James Gunn just cuts through the meat of the film and gives you 5 amazingly well-crafted (and well-acted) characters that would leave an imprint on you long after you leave the cinema. 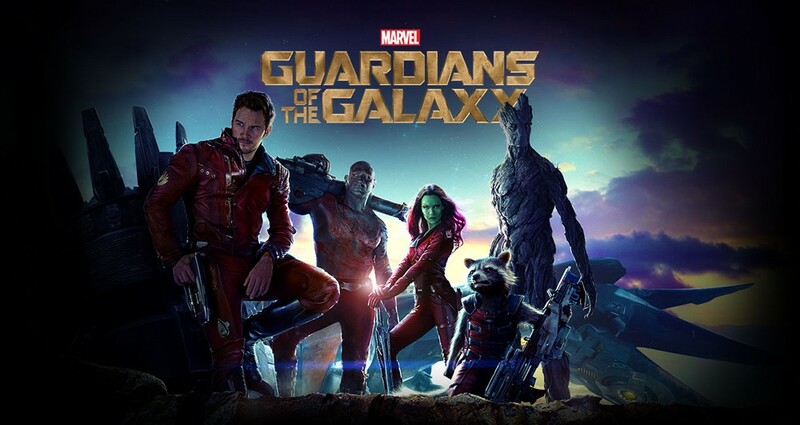 From Star-Lord’s overly cocky antics to Rocket’s sarcastic banter and Groots malevolent lines (I am Groot), there’s something for you to take home from each of the characters. While there may be some characters that are inherently funnier than others, the writers knew how to sprinkle the quirky lines so everyone gets something. Even Drax gets a funny line here and there! Chris Pratt is the perfect actor to play Star-Lord. It’s not just because of his amazing comedic-timing, but when push comes to shove, Pratt is an ace actor, able to deliver heart-warming performances when he needs to. Pratt understands the character so much that he dissolves into it quickly—never skipping a beat. And with his amazing performance, he is able to bring out the best from his co-workers as well. Gamora, probably having the weakest lines of the film, still shines whenever she’s with Star-Lord. Don’t get me wrong, I love Zoe Saldana, but there are certain scenes when she would slightly lose a footing here and there which Pratt quickly picks-up for you not to notice the mistake (the scene inside Yondu’s ship while Gamora and Star-Lord are being threatened by Yondu is an excellent example). 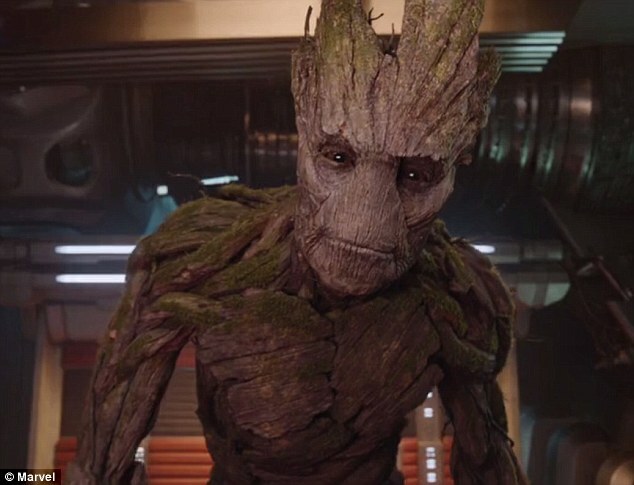 If there is an actor or actors that needed more recognition for the amount of work they have done for the film it should be Bradley Cooper and Vin Diesel for voicing Rocket and Groot. James Gunn wasn’t kidding when he said that Rocket is the heart of the movie and it shows mightily in Cooper’s voice performance. The wit, sarcasm and vulnerability that Cooper gives to Rocket makes him so much more believable than some of live actors on set. Vin Diesel, on the other hand, is Groot through and through and no one, NO ONE, can play Groot like him. Don’t believe me? Check this article out. Without a big name-franchise (unlike the other Marvel tentpoles) nor RDJ-status main actors, Gunn relies on good-ol’ fashion story-telling to ensure the success of the film. The narrative was well-thought off and his vision is so clear that you already know what you’re getting into within the first 5 minutes of the film. When the title screen pops up, you know you’re in for a ride! This is the most ballsy and irreverent film that Marvel has ever produced and it is working wonders. Heck, even the soundtrack choice is a gamble that is paying off pretty well. Instead of using contemporary music or sweeping John Williams-like score, the movie used a slew of pop tracks from the 60’s to the late 70’s. Suddenly you hear Rupert Holmes’ “If you like Piña Colada” while Star-Lord zooms happily in space. How trippy is that? And the fun part is, the soundtrack isn’t just something the producers added to give extra texture to the film. While it does so nonetheless, the soundtrack choice is actually part of the narrative and divulges Peter’s origin story more and more as the film progress. The genius here lies with the intent. What? No Nova Force? What a bunch of A-holes! Still, the movie is without flaw. The most notable one would be the portrayal of the Nova Corps in the film. While not entirely bad, the Corp did seem a whole lot underpowered that they’re supposed to. This is the Nova Corp, people! It’s the equivalent of the Green Lantern Corp in DC and yes that includes powers. You do not battle a fleet of Nova Corp Centurions and walk away unscathed. While I do understand the need to “de-power” them to fit the story, I wish they could develop the Corp later on in succeeding films so they can ascend to the superhuman status similar to the comic books; maybe even start creating the Xandarian Worldmind as a reaction to the events that happened within Guardians. Who knows? Despite these minor short-comings, the movie is absolutely brilliant! I came in with very high expectations – seemingly challenging James Gunn’s Guardians to hit me with his best shot. He did; he slapped me across the face with an amazing film and I could not have been happier. Marvel, take note, this is how you make a hit. P.S. 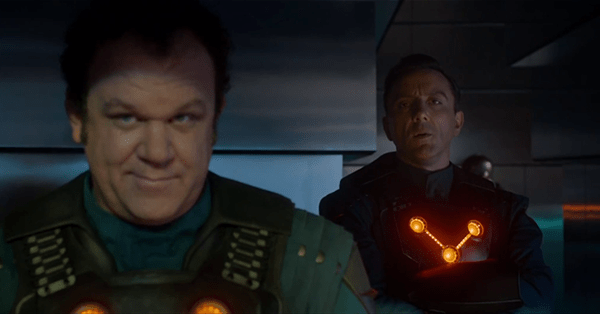 As with all Marvel Studio movies, stay after the credits to see a couple of cool cosmic cameos. Also, people are saying to watch it in IMAX 3D. We’ll update this post if it is truly worth the 3D treatment. UPDATE: Yes, definitely watch it in IMAX 3D! While you’ll be spending more, you’re actually robbing yourself of the opportunity to truly be immersed in the film if you don’t. Also, for a post-conversion film, you feel like Guardians was shot with a native 3D camera. It is absolutely stunning in 3D and this is coming from a guy who hates (HATES!!) watching in 3D. Again, as mentioned above, the genius lies in the intent. 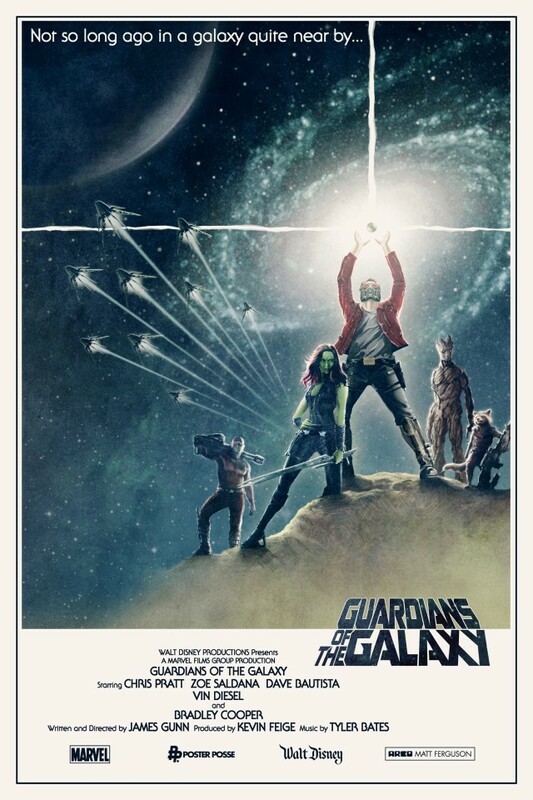 Guardians of the Galaxy opened in the Philippines last July 31, 2014 in 2D, 3D, and IMAX 3D. Because, really, this is Marvel’s Star Wars!